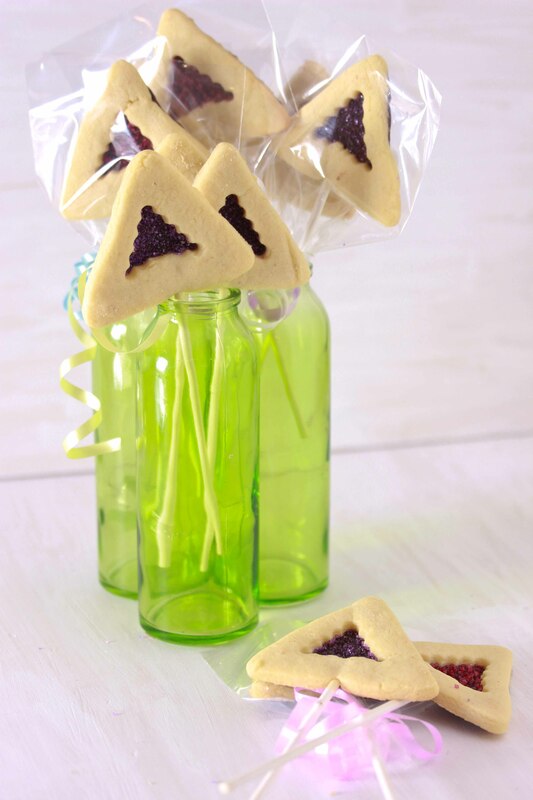 Purim is coming and all of us have hamantaschen on our minds. And I know the most feared thing about hamantaschen is that they will open while baking. Well, that’s why I made these adorable hamantaschen pops. They look like regular hamantaschen, but in reality, they are simply cookies on a stick with no danger at all of opening while baking. Aren’t they adorable? Head on over to Cook Kosher for my full post with step by step directions! magnificent! And brilliant! what else can I say? So cute that you did these as pops! I can’t wait to try these. I really like your idea of candy melts for making different colors too. Thank you!